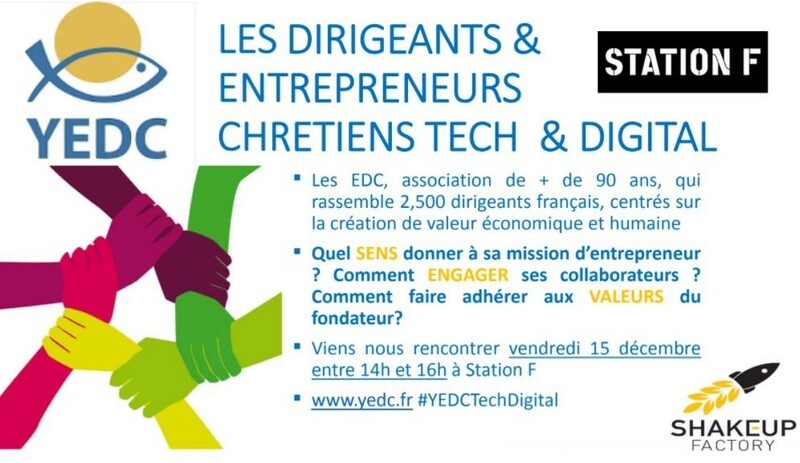 EDC – Entrepreneurs & Dirigeants Chrétiens – is an non-profit organization created in 1926 and comprised of above 3,500 French Christian Leaders & Entrepreneurs. Its mission is to provide a space for its members to share and develop best practices in terms of staff and growth management. Its members are Entrepreneurs & Leaders who have management responsibilities and in common their Faith with the desire to grow their people, their company and inspire others. 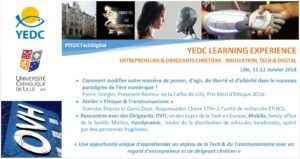 EDC Tech & Digital is the Technology & Innovation arm of Entrepreneurs & Dirigeants Chrétiens (EDC). 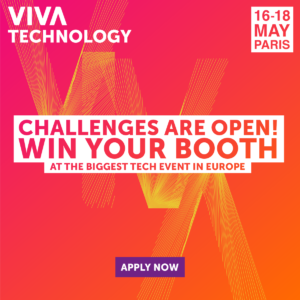 EDC Tech & Digital brings together French Christian Tech Entrepreneurs & Leaders, Founders of Hyper-growth Startups and VP/Directors at mid/large-size organizations who wish to apply their faith to build better and stronger organisations. Their common values: faith, a passion for innovation & growth, people development, learn & share, transparency, integrity, common good. Sébastien Lenormand (41), President EDC Tech & Digital and EDC Member, Alphabet [Google] EMEA Account Director at Intel Corporation. Manages the overall Intel & Alphabet [Google] Business Development, Sales, Marketing & Partnerships for Europe, Middle-East & Africa. Claire Gomard (35), President EDC Tech & Digital and EDC Member, Milestone Investisseurs Investment Manager and Réseau Entreprendre 93 Administrator. Investing EUR20-EUR50m majority equity stakes in France, Belgium and Switzerland in consumer goods, healthcare and business services. 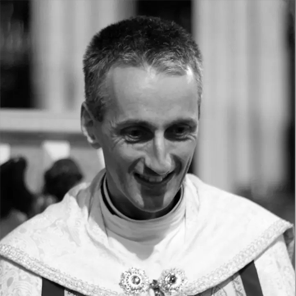 Ordained as priest in June 2008, he spent 4 years at Saint-Ferdinand-des-Ternes (Paris 17e) before joining Sainte-Clotilde (Paris 7e) parish. Since 2012, he is vicar at Sainte-Clotilde, and chaplain at Saint-Thomas-d’Aquin and Sainte-Clotilde schools. 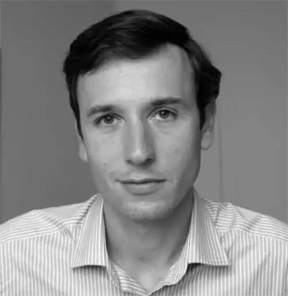 Graduated from Ecole Centrale Lyon, he worked at EDF and Thales Communications. Clara Gaymard, co-fondatrice de Raise. 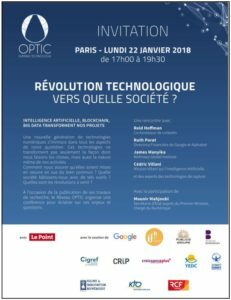 Plus d’informations sur le Mouvement pour une Economie Bienveillante. Laurent Bataille, Président des EDC, témoignait également sur « les religions, le retour ». Check out the latest updates !